Pimm’s Cup is to England, what Sangria is to Spain – a light, fruity and refreshing summertime beverage. The year and a half I spent in London, I worked for a catering company in Wimbledon. I took the green, District line, to the Wimbledon tube station and walked a mile right past the All England Lawn Tennis and Croquet Club. Though the closest I ever got to those hallowed grounds, was peeking through the gates, I was too focused on my job and took it for granted. That year, Boris Becker won the Men’s Singles. I remember the buzz and excitement. Nearly every summer party during the London “season” featured a large pitcher of Pimm’s Cup. I drank tall, fruit filled glasses of Pimm’s, at the Oxford-Cambridge Regatta on the Thames, at cricket matches, weekends in Yorkshire and weddings. Pimm’s Original No. 1 Cup, is gin and herb based. At one time, there were Pimm’s Cup numbers 2 through 6, which were made from rum, vodka and whiskey. They have since been either discontinued or are produced in very limited quantities. And so, gin it is, which is fine with me. In the summer I do like the bright, refreshing tang of a tall gin and tonic with a squeeze of lime. 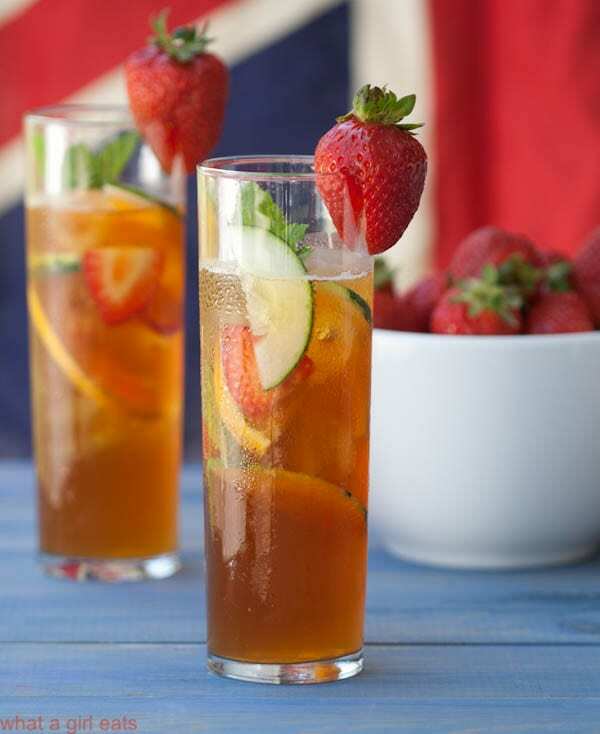 Since Pimm’s Cup is only 25 percent alcohol and further mixed with “lemonade”, ginger-ale or club soda, the resulting beverage is much lighter and perfect for an afternoon of tennis a BBQ, or for sipping by the pool. 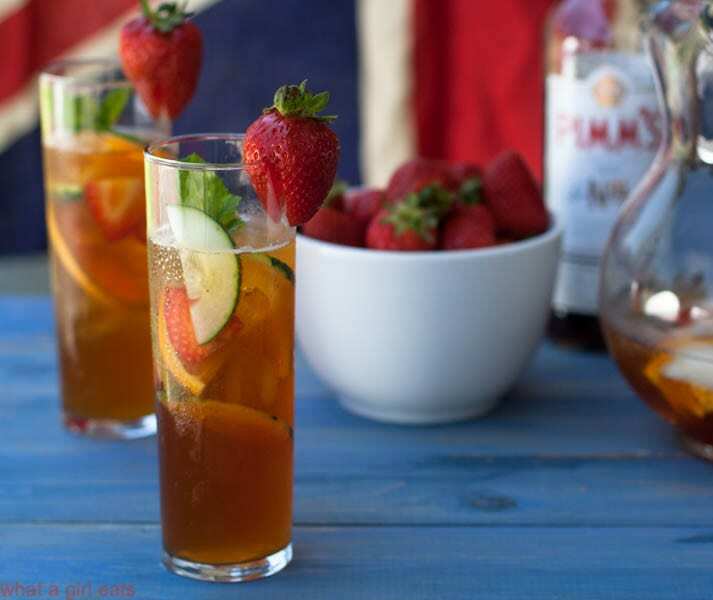 In England, Pimm’s Cup is mixed with “lemonade”, or what we Americans call, “lemon-lime soda”. While Sprite or 7-Up come close, British lemon soda is slightly different, and less sweet and less fizzy. But just like Sangria, or wine coolers, everyone’s recipe differs. The one constant, is the addition of fruit and cucumber, plus a sprig of mint. (The traditional borage, is nearly impossible to find in the U.S.) I decided to have a Pimm’s tasting a few nights ago in honor of Wimbledon. I made up a few samples using ginger-ale and the less sweet sparkling lemonade instead of Sprite, an additional splash of Triple Sec to play off the orange fruit, and an extra shot of gin. In the end we preferred the version with the sparkling lemonade, which my husband said, “brought out the flavor of the Pimm’s”, over the ginger ale or Triple Sec versions, which tended to mask the Pimm’s. Your call. 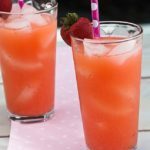 Since this is day four of Wimbledon, and strawberries and Pimm’s Cup cocktails are Wimbledon staples, I added some strawberries to mine. 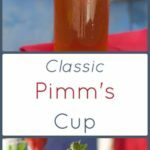 When making Pimm’s Cup, you can either add the fruit and mint to the glass or pitcher and, “muddle” or blend the flavors, or add the fruit after as a garnish. Muddling will give your drink more fruit flavor, but the result will be a little cloudier, rather than clear. Pimm's cup with fruit and lemon soda. Sparkling lemon soda or ginger ale. (7-UP or Sprite can be used, but will have a sweeter taste). Thin slices of English cucumber orange, lemon or strawberries. Sprig of mint or borage if you have it! Pimm's is usually made by the pitcher full, since it goes so fast. 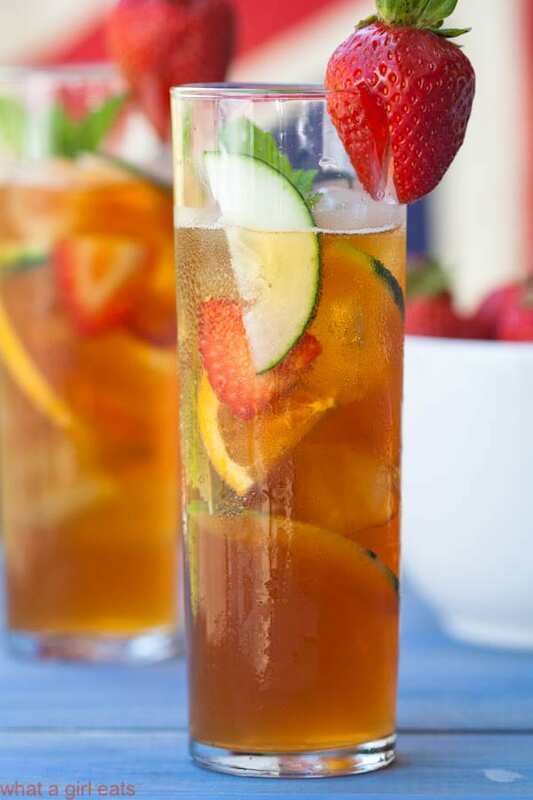 In a tall glass, or pitcher, mix 1 part Pimm's Cup to 2 parts lemon soda or ginger ale. Fill with ice, and garnish with fruit slices, cucumber and mint. 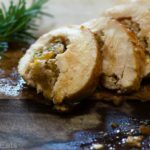 Looking for other British food to go with your Wimbledon Party? 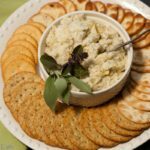 How about Coronation Chicken Salad Sandwiches, Cottage Pie or Summer Pudding? Classic Pimm’s Cup. Pimm’s No. 1 is a gin based mixer popular in Britain during the warm summer months. What a lovely drink.. The photos are beautiful!!! Thanks Mr. & Mrs. P! Great minds think alike! I did Pimm’s this week, too! 🙂 Your pics are lovely! Thanks Michele! I’m glad you enjoyed it! Thank you Maris! It’s a delicious drink! Gorgeous photos! This beverage looks amazing! YESSSS. I need this immediately. Photos look good. I am sure the drink also turned good.